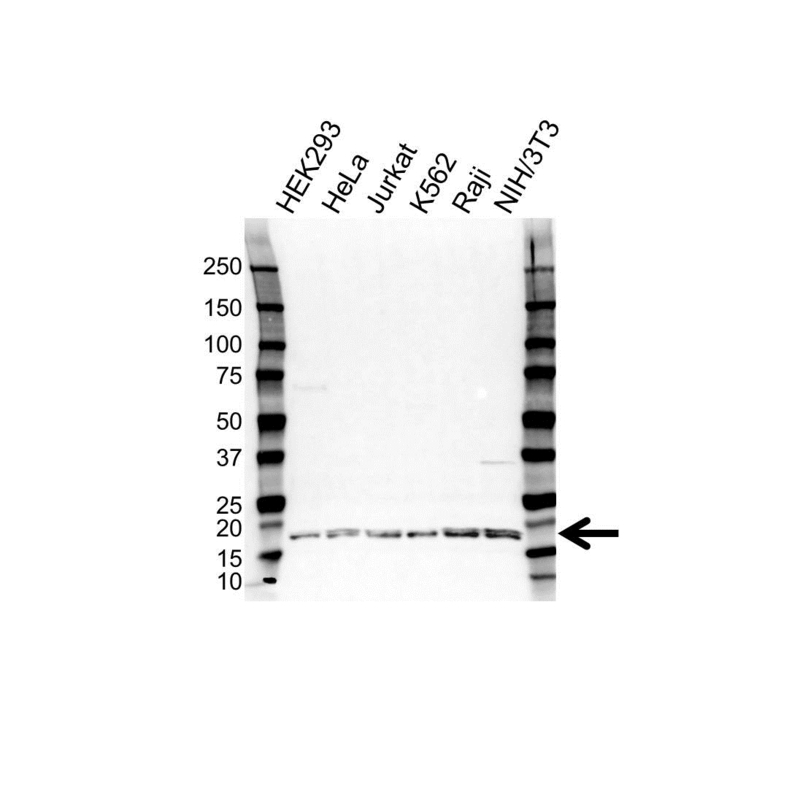 Rabbit anti Human histone H3F3A antibody recognizes histone H3.3. Histones are basic nuclear proteins that are responsible for the nucleosome structure of the chromosomal fiber in eukaryotes. Two molecules of each of the four core histones (H2A, H2B, H3, and H4) form an octamer, around which approximately 146 bp of DNA is wrapped in repeating units, called nucleosomes. The linker histone, H1, interacts with linker DNA between nucleosomes and functions in the compaction of chromatin into higher order structures. H3F3A contains introns and its mRNA is polyadenylated, unlike most histone genes. The protein encoded is a replication-independent member of the histone H3 family (provided by RefSeq, Jul 2008). Rabbit anti Human histone H3F3A antibody detects a band of 17 kDa. The antibody has been extensively validated for western blotting using whole cell lysates.